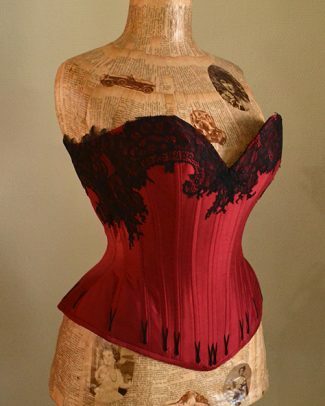 This Gothic valentine corset is a lovely sweetheart corset. 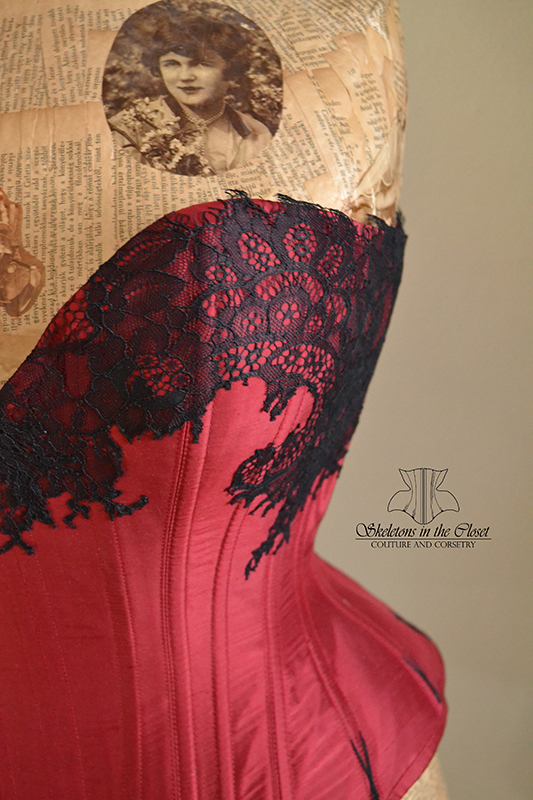 This corset is made out of your color silk and trimmed with a lovely black lace. The bottom has black flossing. The corset is finished with a hand binding. 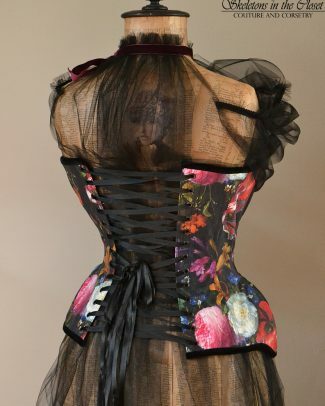 This corset is available with a busk aswell. 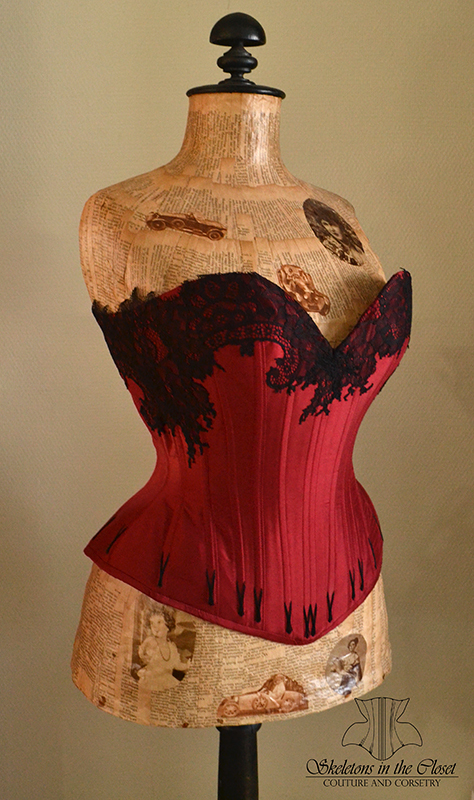 A couture curves corset is made after your measurements. A pattern is drafted specifically for you. A corset will take 2-3 months to complete.